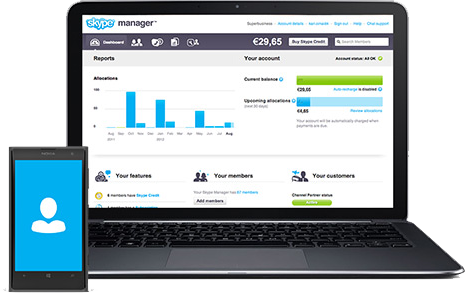 Skype Manager is a web-based management tool that lets you centrally manage Skype in your business or for your family. Use it to create Skype accounts, allocate credit and features so that everyone gets the most out of Skype. Get started with Skype Manager today.